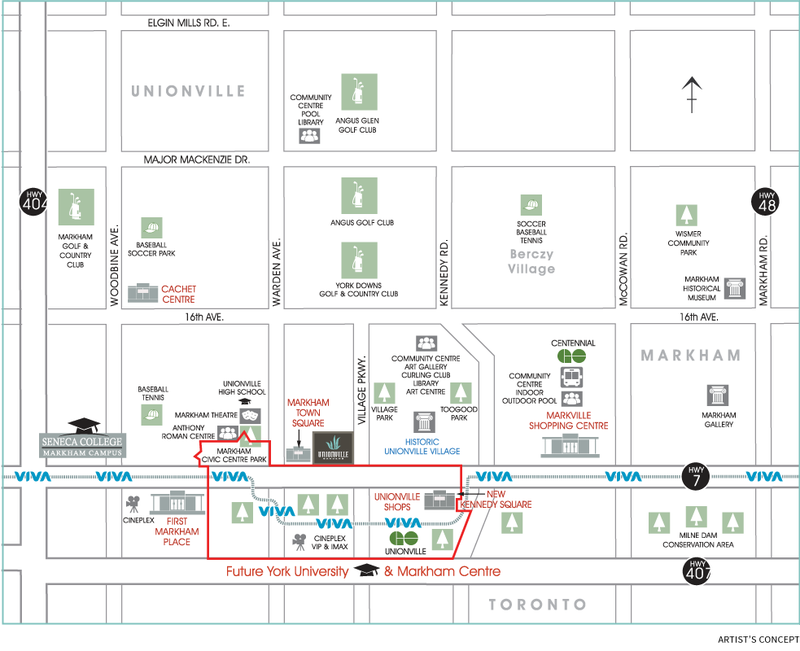 It couldn’t be easier to get where you’re going when you live at Unionville Gardens. VIVA, TTC and GO Trains are all immediately accessible, with an LRT system coming soon across Highway #7. 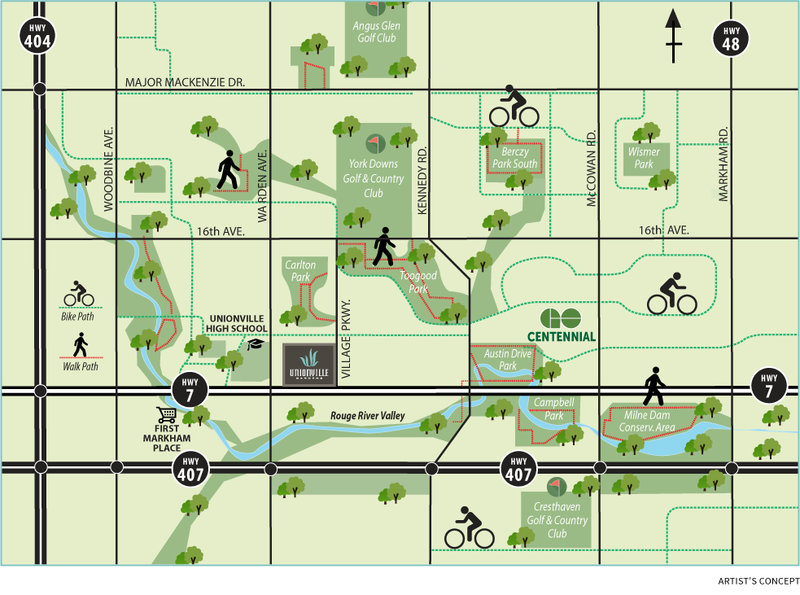 You’ll never be bored walking, biking or playing outdoors near Unionville Gardens. There are an infinite number of bike trails and walking paths, many through beautiful wood lots, parks and conservation areas. 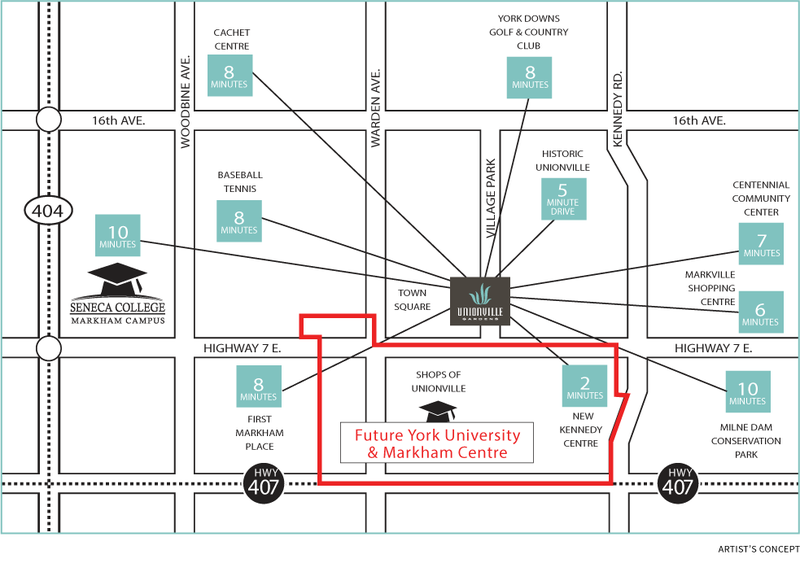 York University and Markham Centre will be your future neighbour.